Intelligent Answers and Essential Advice from a World-Renowned Plastic SurgeonFrom reality shows to celebrity gossip magazines, it seems everyone is talking about plastic surgery. But how do you know if it's right for you, and how can you get the best results? 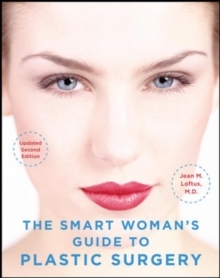 The Smart Woman's Guide to Plastic Surgery cuts through the media hype and gives you real answers on the most popular procedures, including what to ask surgeons during consultations, possible risks, how to plan and pay for surgery, and how to speed physical and emotional recovery.